In my 20 years of consumer marketing, I have seen the best and the worst of brand leaders. When looking at predicting the success of a brand leader or promoting someone to the next level, we look at what that person brings to the table in three areas: skills, behaviors and experiences. Using those 3 areas makes it easier to see what the best brand leaders do to reach their full potential, while seeing what happens to those who can’t reach their potential, eventually getting stuck at a certain level or self-destruction. In this story, we’ll talk about the 32 core skills a brand leader needs to master, but in other articles we have also mapped out the behaviors and experiences you need. Warning: this is one of our longer articles: Not for the faint of heart and it’s time to skim or bail if you’re pressed for time or not trying to reach your full potential as a Brand Leader. As you move up through various levels, we recommend that you keep honing each skill area to get better. On each new assignment, you’ll see these skills from new angles or new situations. You can always find room to get better. It seems marketing attracts many brand leaders because of the creative side of the business. However, before you get creative, you need to know where you are why are you are there. That requires you go to deep. We coach brand leaders on the principles of good analysis, how to assess health and wealth of the brand and turning your analytical thinking into strategic stories, projections and reports. Here’s a link to our workshop on Analytics. Analytical thinking: Doing a solid analysis on your business requires thinking time to help isolate the problems and opportunities you face on your brand. Opinions without fact to back them up are just opinions and can leave a room divided. Absolute numbers by themselves are useless. Use analytical tools to help organize and force deep dive thinking in key areas. Deep-dive analysis: There is nothing worse than making decisions based on “surface” analytics because you’re too lazy to look beneath the surface and figure out the causes that you really need to address. When going deep, you are expected to look into everything on the brand. Start with the category looking at the factors impacting growth, trends, economic, changes happening in demographics, behaviors, consumption and related categories. Then look deep into the consumer and define segments, buying habits, growth trends, key insights for each segment, buying system analysis, leaky bucket, consumer perceptions through tracking data and research. Then explore the channels, looking at each channel’s performance, major customers, sales performance, tools for winning used in each channel. Be aware of your competitors constantly looking at positioning, pipeline, pricing, distribution differences, consumer perception, strategies. Know your brand inside and out, looking at internal and external health and wealth of brand. Use financial analysis, brand funnel data, market research perceptions. Look at advertising results, pricing strategies, distribution gaps and do a complete leaky bucket analysis. Analytical story telling: It’s one thing to be good at analytics, but another to be able to use the data and build a story that everyone can follow. A good story uses headlines to draw conclusions, then use every data break to bring out an implication and ensure you’re using the analytics to highlight problems to solve or opportunities to chase after. Keep the story logical, easy to follow, challenge yourself by looking at it through the eyes of those trying to follow. Report writing: Brand leaders must be able to write monthly reports, analytical reports, summary reports whether that is through email, word or Powerpoint. Use the reports to keep everyone on the team informed, engaged and aware of the strategic thinking. No matter the report’s purpose use it as a chance to talk about how the brand is doing, what’s the competition doing, what are the top 3 drivers and 3 inhibitors of the brand and always tell the readers how you’re going move forward. Report writing is about control of your brand’s direction and maintaining the leadership position on the brand. Strategic thinking: Strategic thinkers see “what if” questions before they see solutions. They map out a range of decision trees that intersect and connect by imagining how events will play out. They reflect and plan before they act. They are thinkers and planners who can see connections. Non strategic thinkers see answers before questions. They get to answers quickly, and get frustrated in delays. They believe doing something is better than doing nothing at all. They opt for action over thinking. They are impulsive and doers who see tasks. They get frustrated by strategic thinkers. Strategic story telling: We use five simple questions to ask before getting started on your Brand Plan: 1) Where are we? 2) Why are we here? 3) Where could we be? 4) How can we get there? 5) What do we need to do? The best way to use these 5 questions is putting 3 bullet points to each and starting to see the big picture story come to life. As a good discipline, we recommend that you do this every six months, taking a few hours at your desk, using some forced thinking time to map out answers to each question to ensure you are moving your brand forward. Brand Plan writing: Use the answers to the 5 questions to transition the answers into the components of the brand plan: situation analysis, key Issues, vision and purpose, strategic choices, executional tactics, goals, budgets and measures. There is a well-known phrase “get everyone on the same page” but then we see 117 slide brand plan presentations. We have created a plan-on-a-page that forces brand leaders to consolidate their answers down onto one page, which can then be laminated and put up at the desk of everyone who works on the brand–whether in sales, R&D, HR or outside agencies. Plans presentation: This is your big chance to show senior management that you are a brand leader that can bring together strong analytics, leadership in the planning process and good solid strategic thinking. This is also your chance to lead across various parts of the organization, especially for the sales and R&D teams. Here’s an example of a best in class brand plan template that can be used for presenting brand plans. Market Research: While brand leaders rely on experts in market research, they need to know the market research basics to ensure they make the right choices of which research you want to pick, whether it’s exploratory, tracking, or testing. Understanding various techniques will allow you to understand the findings, draw better conclusions and make better decisions. that come from the research. Consumer Insights: Brand leaders should use consumer insights as one of the first connection points with consumers–to show that you understand what they are going through and what pain points they might be facing. At Beloved Brands, we say that Consumer Insight comes to life when told in such a captivating way that makes consumers stop and say “hmmm, I thought I was the only one who felt like that”. You have to see below the surface of what the consumer might say in a focus group and gain an understanding of them. Good insights get in the SHOES of your consumer and use their VOICE. Insights should start with “I” to get in the consumer’s shoes and use quotes to use their voice. Creative Brief writing: Before going to the brief, you should answer these six questions: 1) Who is in the consumer target? (Who is the most motivated to buy what you do?) 2) What is the benefit we are selling? (What is your main benefit?) 3) Why should they believe us? (Support points to back up what you say) 4) What’s the long-range feeling the brand evokes? (What is the Big Idea for the brand?) 5) What do we want the brand communications to do for the brand? (Strategic Choices) 6) What do you want people to think, feel or do? (Desired Response) We run a Positioning Workshop for brand leaders to help them write a creative brief that comes from the brand positioning, big idea and brand strategy. The role of Advertising is to create a bond with consumers, establish your brand’s positioning and drive a change in your consumers behavior that leads to higher sales, share and profit. We run workshops for brand leaders to help them get better advertising. Media Planning: For brands, media is an investment at touch points where consumers are most willing to engage in the story. Media should be used to create a bond with consumers, to establish your brand’s positioning, to learn about your consumers and to influence a change in your consumers behavior (think, act or feel) that leads to higher sales, share and profit. There are five types of media that brand leaders need to get better at: 1) Paid: Using both traditional (TV, Print, OOH, Radio) and Digital. 2) Earned: You need to create and manage the news cycle with mainstream news, expert reviews and blogs. 3) Social: The best brand leaders have advocates that follow, put their views forward and share news on the brand that creates positive interactions that helps to influence others. 4) Search: Search Engine Optimization balances earned, key words and paid search and 5) Home Media: Your website where you can use as a source of information, influence or even closing the sale. We use a buying system to match up to where the consumer sits in relation to your brand, ensuring you are using the right media options to the right situation. Managing Agency: If you knew that being a better client got you better advertising, would you actually be able to show up better? When it comes to advertising, the role of the Brand Leader is to consistently get good advertising on the air, and equally consistently keep bad advertising off the air. Agencies want to be challenged, but you have to do so in a very respectful way. Let them bring their expertise to your business problems. Never tell them what to do. Creative Feedback and Decisions: If the creative brief is a “box” for the Creative Team to figure out the solution to, then use your feedback to create a new “box” for them figure out a new solution.The style in which an ad better, or destroy it before it’s ever is made. We recommend a tool for brand leaders to help judge creative advertising ideas which we call the ABCS of Advertising: Attention Branding Communication and Stickiness. Leading innovation process: Brainstorming should be a regular part of running your Brand. Every brand team should be having some type of brainstorm (big or small) once a month to build a constant influx of ideas–promotions, advertising, social media, naming, new products, events, PR, saving money and of course as part of your brand planning, They can be a quick 30 minutes as part of a weekly meeting just to get some quick ideas or a whole afternoon to solve a problem that’s been nagging at the group. Or a team building offsite meeting that goes all day. Learn how to lead and use them to your advantage. Concept writing: It’s important to test potential concepts to see if they are winners. Here’s the format we recommend: 1) Main headline should capture the big idea of your brand. Obviously the headline is the first thing they see, so it should contain the big idea that you want your brand to stand behind. 2) Use the opening to connect quickly with your target consumers by starting with their enemy or insight. I love using the enemy because it can be a very arresting way to really make the consumer say “That’s me”. 3) Bring the main benefit to life in a compelling promise statement. I prefer it to have an emotional/rational balance in the promise. At the very least, the emotion modifies the rational. The promise statement then forces us to bring in the two reasons to believe to help back that up. 4) I like to add a motivating call to action at the end to help prompt purchase intent. The concept test will hang on how well the purchase intent score is, so a strong concept almost has to ask for it. New product development: Marketing has a role in leading product development, working in partnership with your R&D team. While there is a degree of serendipity to product development, we recommend that the big idea for your brand drive every part of the brand, to ensure it stays on strategy. We believe the internal story is equally important to the external story of the brand. The internal story acts as a beacon for the culture, operations and R&D teams to follow. Launching new products: Once you have a new product that has shown great potential in the market, over-seeing the launch will be the time when you have to touch every part of the organization in the most hyper sense of brand management. Facing a guaranteed long list of problems, and potential pockets of doubters in the organization, you must know about every part of your organization to knock them down, working from the plant to the warehouse to regulator to the sales leaders to customer service and working with every executional agencies. Every deadline matters as it impacts other deadlines, you need leadership that rallies the best of everyone around the opportunity. Brand leaders need to manage the purchase moment of truth for consumers, making decisions on channel strategies, working through specific customer issues and executing the in-store experience that closes the deal on the sale of your brand. Influencing Sales team: Become the marketing person for the sales team is comfortable to approach. Great sales people challenge marketers to make sure their account wins. I’ve seen many sales teams destroy brands leaders who don’t listen, and they stubbornly put forward their plan without sales input. Be the marketer that consistently reaches out and listens. They’ll be in shock, and stand behind your business. If sales people feel they’ve been heard, they are more apt to follow the directors vision and direction. Customer knowledge: A great brand leader should informally meet with all key senior sales leaders on a quarterly basis, to get to know them, know their customers and listen to the problems they face. This informal forum allows day to day problems to bubble up and be heard, before they become a bigger problem. Consumer promotion: Brand leaders need to be good at executing all types of promotion, whether that is on-pack promotions, pricing, displays, sampling or event marketing. Usually working with outside agencies, you have to stay tight on promotional costs and deadlines to ensure it doesn’t get out of hand. Without knowledge in these areas, you can easily get ripped off or miss a detail that can destroy the promotion. Sales calls/presentations: As you move up in your marketing career, you’ll get the opportunity to present to customers along with your sales leader. From what I have seen, most marketers are not that great at sales. They over-sell and under-listen. They talk more about what they want from the customer rather than what they’ll do for the customer. Leverage the expertise of the sales leader to guide you on how to do your presentation, being aware of the specific needs of the customer you are presenting. At Beloved Brands, we urge brand leaders to think about the “triple win”, which is the intersection where the consumer, the customer and the brand all win. Brand leaders are expecting to lead from the center of the organization, leading their teams as well as leading across the organization. Managing Direct Reports: A great brand leader spends the effort to make their people as good as can be. Most brand leaders struggle with their first five direct reports. The key is to keep self evaluating and looking for ways to improve with each report. Most brand leaders struggle to shift from “do-er” to “coach.They think they can do it faster, so they may as well do it.They just become the “super ABM”. Many brand leaders fail to share the spot light, so it becomes hard to showcase their people. Great brand leaders take the time to teach up front, give their people some room to try it out and then give hands-on feedback in real time. Brand leaders should do informal QUARTERLY sit down performance reviews with their people, as people have the capacity to learn faster than annual reviews allows for. Coaching teams: Focus on the People and the Results will come:The formula is simple: the better the people, the better the work and in turn the better the results. You should have a regular review of the talent with your directors. I’d urge you to ensure there’s a systemic way to get feedback to everyone on the team, preferably on a quarterly basis. Invest in training and development. Marketing Training is not just on the job, but also in the classroom to challenge their thinking and give them added skills to be better in their jobs. Marketing fundamentals matter.And the classic fundamentals are falling, whether it is strategic thinking, writing a brand plan, writing a creative brief or judging great advertising. People are NOT getting the same development they did in prior generations. Investing in training, not only makes them better, but it is also motivating for them to know that you are investing in them. Influencing across the company: A great brand leader gets what they needs by working the system and the organization. In most companies, there are complexities of groups, layers, external agencies, with everyone carrying a different set of goals and motivations. Brand leaders need to see how the organization works and appreciating what are the motivations of various key stakeholders. Then use that knowledge to begin to work the system. Start to see key subject matter experts giving you their best. Understand their personal motivations and find a way to tap into those motivations as a way to ask people for their best. Managing upwards: I’m a big believer that the brand leader owns the brand. They have the finger on the pulse of the brand, knowing the current issues the brand is facing. They have new creative solutions and bring the inspiration to execute great ideas. I always wanted my brand managers TELLING me what they wanted to do, not ASKING for my permission. We encourage brand leaders to take this stance: when you know what you want, speak in a telling and convincing voice with your senior leaders. When you are aren’t sure, it’s OK to speak with an asking voice, seeking out their advice. 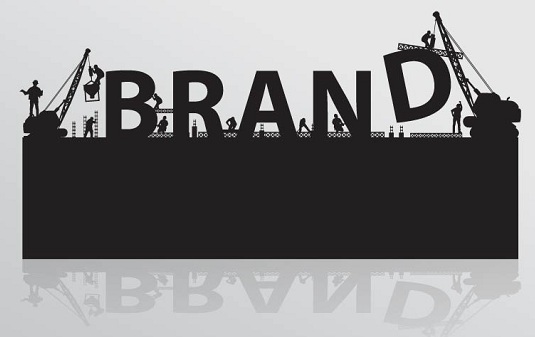 Brand leaders need to run the brand, before you let the brand run you. Without tight management over every process or project, things can easily back up and get out of control. Some leaders think process gets in the way of creativity–but from my experience these leaders are the ones that eventually get buried by their brand. Managing Brand processes: While your people run the brands and the execution, you should run the P&L and essentially run all the marketing processes. In terms of process, it’s always been my belief that great processes in place—brand planning, advertising, creative briefs—is not restrictive but rather provides the right freedom to your people. Get your people to drive all their creative energy into great work that gets in the marketplace, not trying to figure out what slide looks really cool in the brand plan presentation. Legal & Regulatory: Depending on the degree of regulation on your brand plays within, this can be an essential element to running your brand. Leverage your experts but push them to push the boundaries of regulations. Forecasting: Having your finger on the pulse of the business means being able to constantly be able to turn your analytical thinking into projections by extrapolating the data you’re seeing and turning it into trends that will move into the future. P&L management: You have to run the P&L and make investment choices. Bring an ROI and ROE (Return on Investment and Effort) mind-set to those decisions. These choices will be one of the essentials to making the numbers and gaining more freedom in how you do the job. Yes, it’s a ton of skills that brand leaders need to know, but it’s a reality of the role. Marketers never do anything–they never make the product, sell to retailers and they never make the packaging, signage or advertising. They get experts around them to do everything. But the art of doing nothing takes full knowledge to ensure that everything is done properly. As the brand is at the hub of the organization, brand leaders need to be good-to-great at all 32 of these skills.